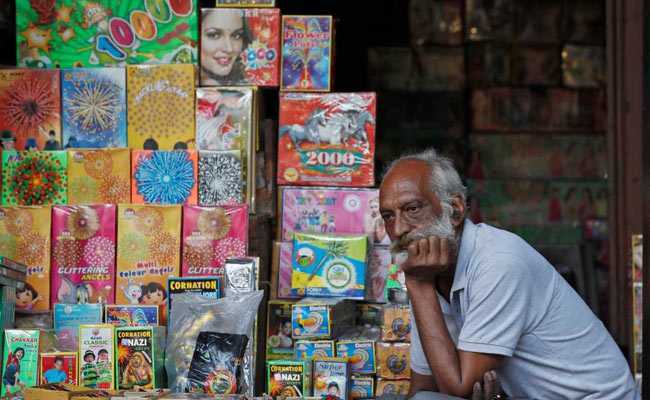 After Court Order, Firecracker Makers Want To Know Which Ones Are "Green"
The West Bengal Pollution Control Board (WBPCB) said everyone should come forward to ensure better air quality. Following the Supreme Court order allowing sale and manufacture of low emission "green" firecrackers, fireworks manufacturers here on Saturday sought to know the type of crackers that could be called "green". "We are not sure what kind of crackers will fall in the category of green fireworks. As things stand, no fireworks could be made without niter. It is a must to emit light," a spokesman of the 'Sara Bangla Atasbazi Unnayan Samity' said. Niter is a form of natural occurring potassium nitrate used in making firecrackers. With lots of fireworks already on way to market, the firecracker makers and dealers need the help and guidance of the police and pollution control officials to enforce the order which might have come a bit late, the spokesman said. "We are waiting for the test of fireworks which will take place on Monday," he said. Firecrackers would be put to test on October 29 in presence of the police and PCB officials to ascertain which would conform to guidelines of the Petroleum and Explosives Safety Organisation. The spokesman demanded that the 90 decibel sound limit in West Bengal be raised to 125 decibel as in force elsewhere in the country, he said. In its October 23 order, the Supreme Court also fixed a two-hour time period from 8 pm to 10 pm for bursting firecrackers on Diwali and other festivals. WBPCB Chairman Kalyan Rudra said, "We have to focus on air quality because that affects the people the most." He said awareness among the people was important in enforcing the apex court order in its letter and spirit. Environmentalist S M Ghosh said the two-hour relaxation from 8pm-10pm is better than whole night but strict monitoring is a must.